Awesome space and setup. Really jealous. I’m a garage brewer, so I have to set up and break it down every time because my GF wants to actually park in the garage. Crazy, right? Still better than brewing in the kitchen! When I used to do that, I would have to spend 30 minutes doing dishes before I could even start brewing! I thought I was lucky to have the 3rd bay of my garage, you have a whole damn basement for yourself! 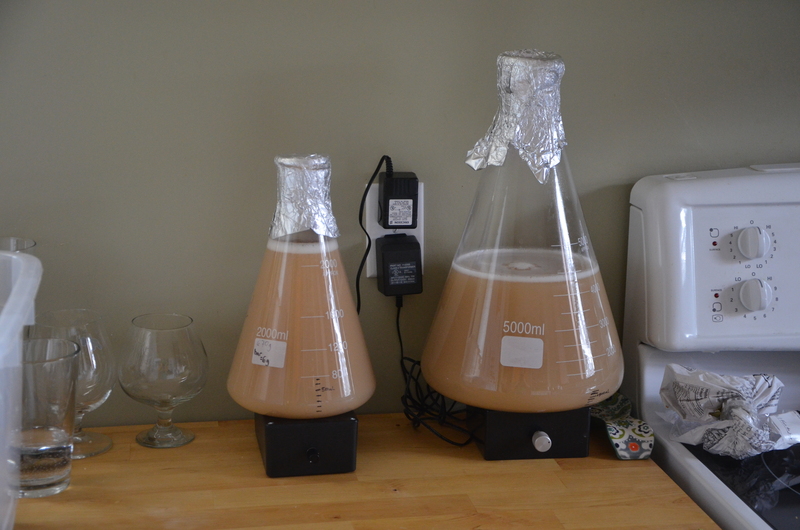 Fortunately, like you, I don’t have to break down and put away all of my gear on brew day. I am sure am lucky! My fiancée is very supportive, plus our house is way too big for our needs right now since we have no kids. 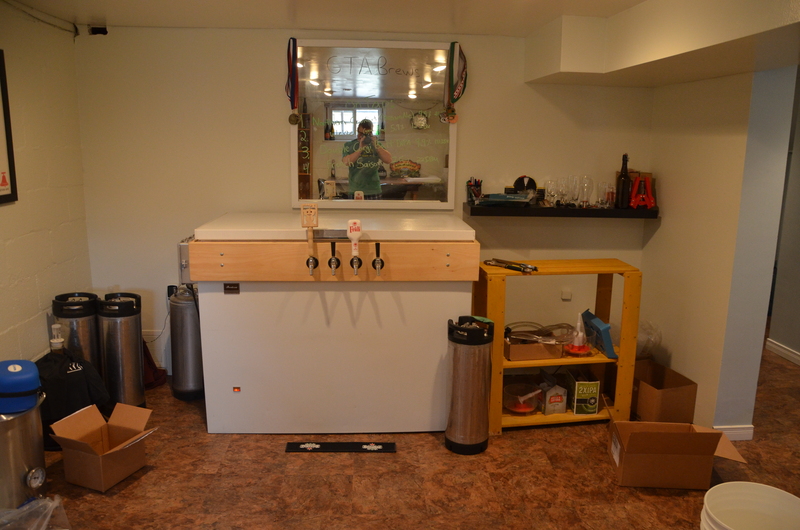 I honestly don’t know what we would do with the basement if I didn’t need it for a brewery. Thanks for reading the blog! 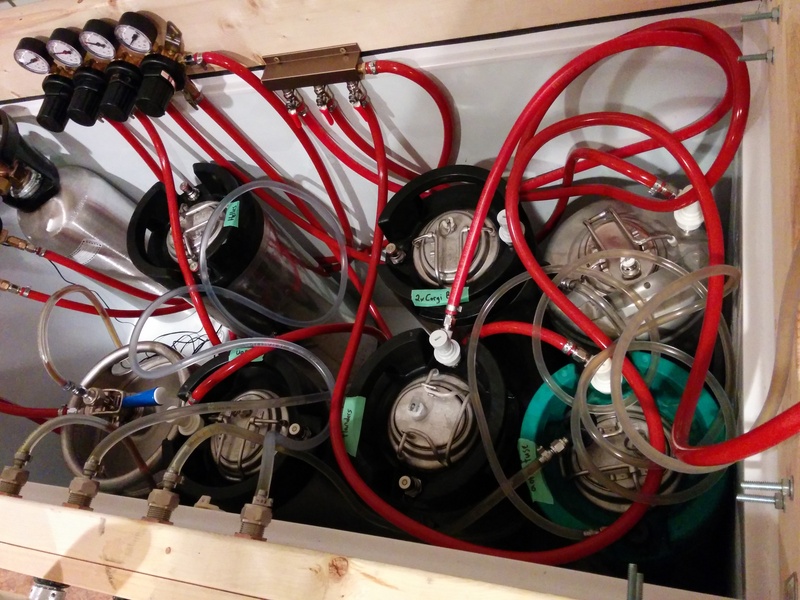 Still getting the hang of things, my goal is to eventually only post about a beer once I have it carbed and conditioned so I can describe everything in one post. A grain to glass series would be rad. 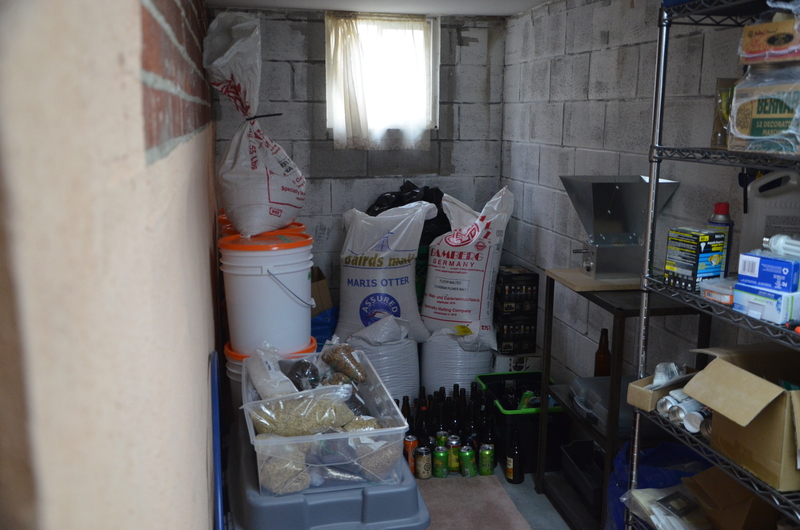 Man, I am jealous of folks with basements. 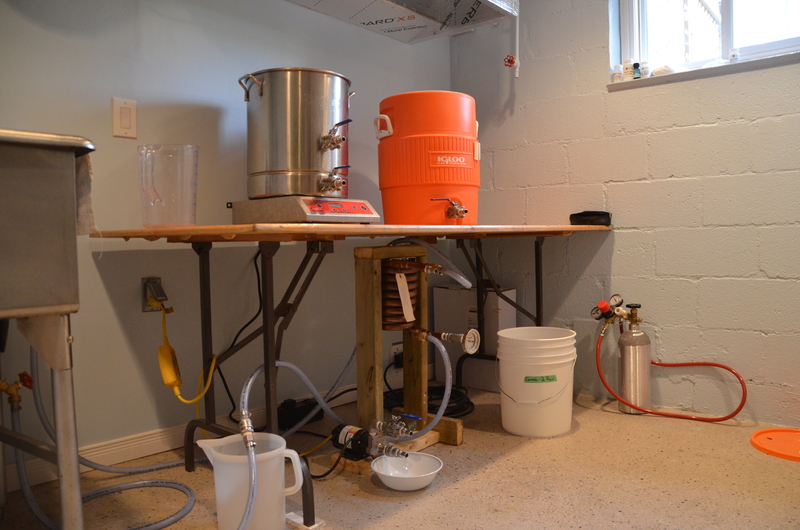 I have neither a basement, nor a garage to brew in, I have to schlep my gear out the the back yard and back every time a brew. Great writeup, looking forward to more posts! Just stumbled upon your blog, really great stuff! 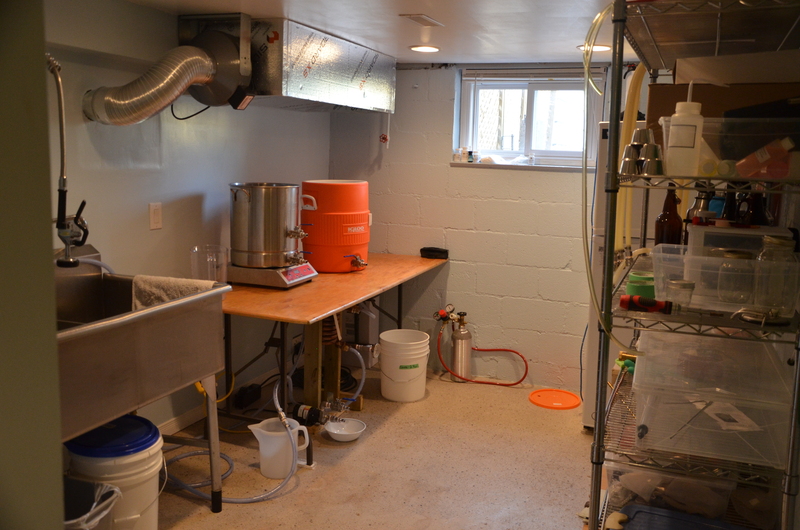 I am slowly trying to work my brewery into the basement. Unfortunately, my available space is significantly smaller. Rather be cramped than out in the elements! Eric, I noticed you have good ventilation. I brew in my laundry room and just open a window with a fan. 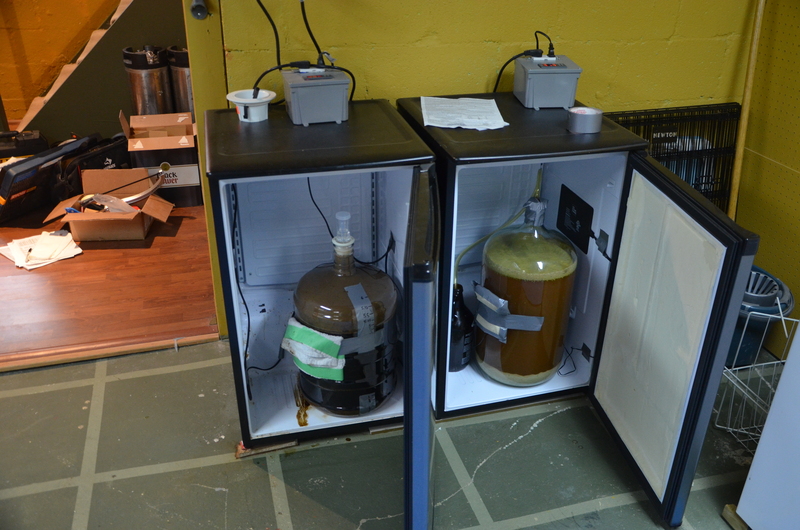 I doesn’t really work that well since I brew down there in the winter and in my garage in the summer. I have Costco shelves for my grain and can’t store grain below the second rack as mice are a problem. I am in the process of buying 12 buckets to store my grains in from the SOB malt buy. Thanks for reading, let me know if you have more questions! Really like the setup! 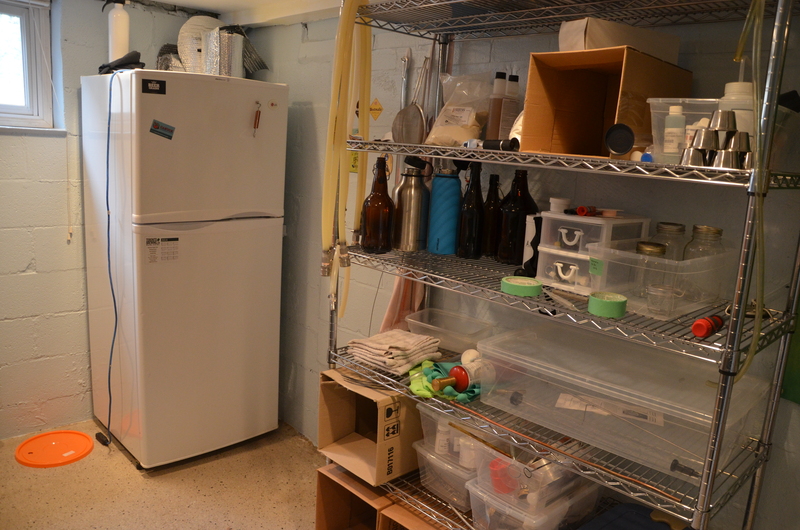 Just wondering what do you use as a heating element in the mini fridges for fermentation? I use reptile heating pads. Just stuck to the side of the inside of the fridge. Nice setup! Where did you get the Danby fridges that have no freezer compartment? Though they can be found in store too. Just look for the 4.4 cu ft ones.